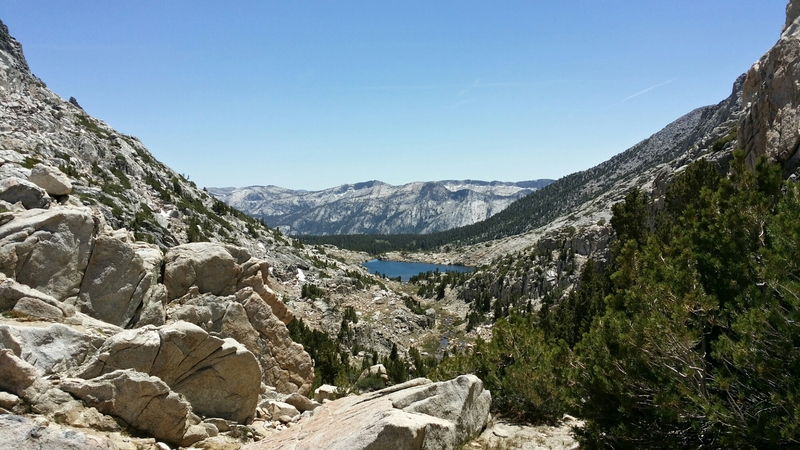 Day 60 – Selden pass, and onward. Woke this morning by the river, some deer were wandering around. Got packed up before the mosquitoes noticed and we got moving. We hiked over Selden pass, met two guys and their dogs up there with a marmot squeaking at the dog. Marmots, oddly, make a sound that could be mistaken for a hawk. 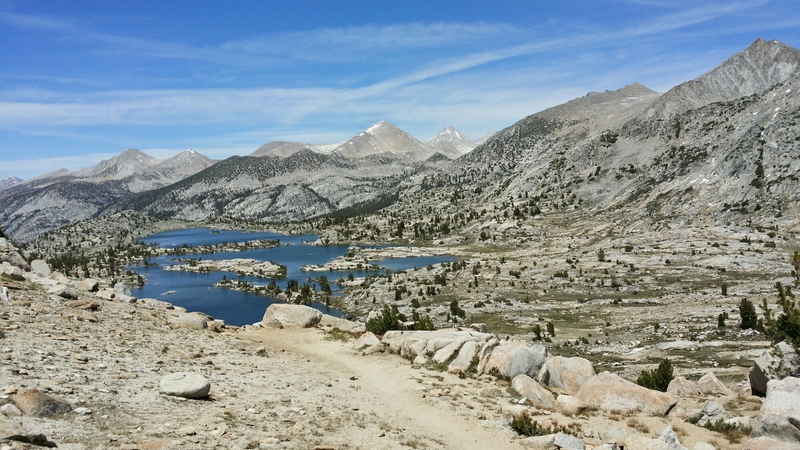 We went down into the valley and crossed Bear Creek a few times, it is beautiful and basically what you think the Sierra looks like in post cards — but. I will have to apologize about no pictures, we could not stop along this section because of the mosquitoes. Really, I dreaded stopping to go to the bathroom. We all got to camp covered in smashed and smeared attempts at our blood. Tomorrow is our last full day out, we do 21 miles and get roughly within ‘morning hike’ of Reds Meadow (a ‘morning’ is usually ten miles). Reds has a little store and there is a bus which will take us to Mammoth, our next zero. I need a zero pretty bad, my feet are feeling it. From Mammoth all our hikes between towns will be less than five days, most at two to three, for the remainder of the trail (for the most part). This means things like apples in the food bag (huge deal). Also it means going into towns and not talking a zero. Which will be an option but not necessary as it is now.